After calling and calling and calling the post office, and then contacting the seller of the Curleys who also placed a few phone calls, we have come to the understanding that there was a mistake on the zip code that routed the corkscrews to some sorting facility, who apparently couldn’t simply look up what the proper zip code was, so it was just sitting there. So, after multiple phone calls, they post office explained they will either correct the zip code, or mail it back to the person that shipped it. On a another corkscrew note, I picked this up this morning. It is definitely a different looking rack and pinion corkscrew. And, as often is the case when you find a mechanical corkscrew, you begin to thumb through Ferd’s book on mechanical corkscrews. so…um…what happened to the blog? More importantly, where are the corkscrews???? Okay, I know I have been a little remiss in my blogging this last week, but we are back in construction mode on the house, and I have ripped apart half of the upstairs, and we are now putting it back together again. When we are done, there will be a new master suite, and a bit more room in the pantry in the kitchen (not that the pantry is upstairs, but a chimney is being taken down that does go through the pantry). Expected Delivery By: November 17, 2012 ??? Well perhaps today they will turn up. Whilst doing a search of ebay.fr, I had run across an interesting champagne tap that would be a nice addition to the collection. And, as the auction was winding down, it was sitting at about 66 euro. With 14 minutes to go, it hadn’t changed, so given I was working on the upcoming issue of the BST, I would check back on the auction every couple of minutes in between editing. With about 9 minutes to go, I placed a bid, and was the high bidder. And, went back to other tasks. After checking the listing a couple of minutes later, I was outbid, and so, I put a bigger bid in, and again was the highest bidder. For the proceeding 6 minuted and 50 seconds, I was in the lead. Could it be that the tap would be coming to the island. Nope! I was not even close. Outbid by 440 Euro in the closing seconds!!! After a couple of emails, a few Curley corkscrews are on their way to the island. Some are doubles, and a couple will be staying in the collection, but it will be quite the Curley-extravaganza when they arrive. 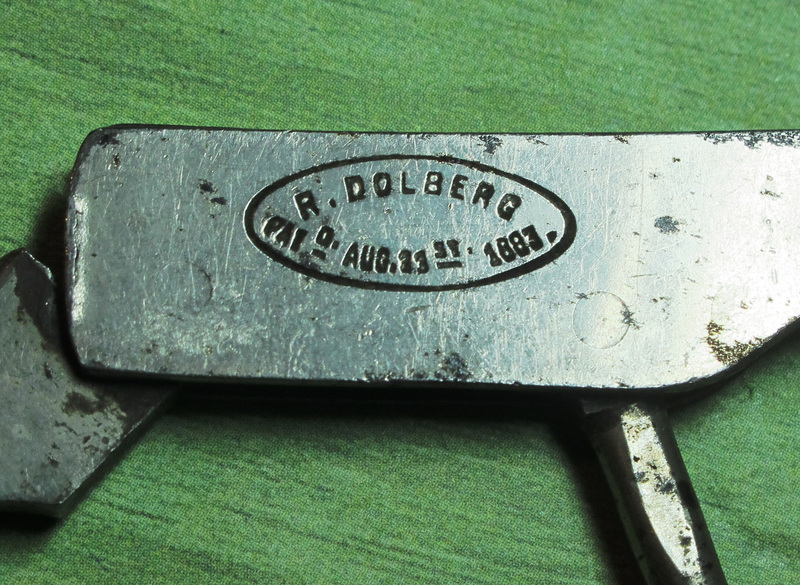 Also, as mentioned recently, I got a hold of an article that Bob Nugent wrote on Curley corkscrews (a copy is on its way Don) but also managed to acquire an article Joe Young wrote on Troy corkscrews, and some additional information. Yes, ultimately this will be included in a website on the corkscrew makers of Troy, NY upon which I am currently working. Well, not really currently, as this morning will be spent insulating a building for a friend, but soon enough! Of course, I am looking for unusual Troy corkscrews, those marked for Curley, those marked Empire, and a folding Hicks and Reynolds corkscrew would be welcome as well! A friend emailed the other day with pictures of corkscrews with which they were interested in parting. And, one picture had several waiter’s corkscrews. Nothing really crazy rare, but it was interesting that in their collection they had 8 different Wienke patents–some with the German DR markings, several with advertising, and one that will soon be heading to the island. This will be the first example I have had that actually has the US Patent information. 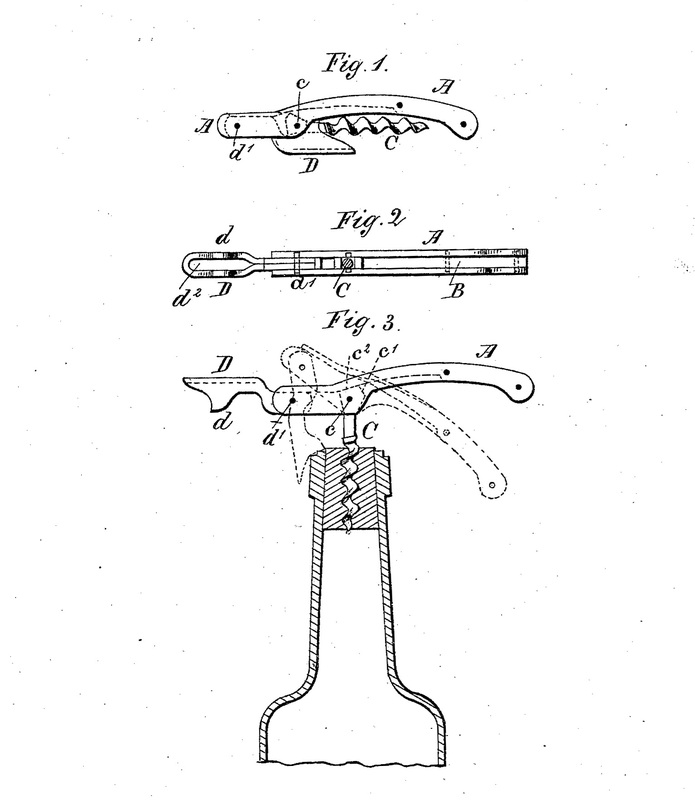 A nice little waiter corkscrew to add to the US patented corkscrew collection. The lovely bride and I are in NYC for a couple of days visiting friends, and what was waiting for us upon our arrival–a copy of Friday’s New York Times with the page opened to a nice little article about the ICCAuction. The first round of listings will end starting at 1 o’clock today, and there are several that I am going after. Check out the 900+ corkscrews! If I do manage to win anything, I will report back here. 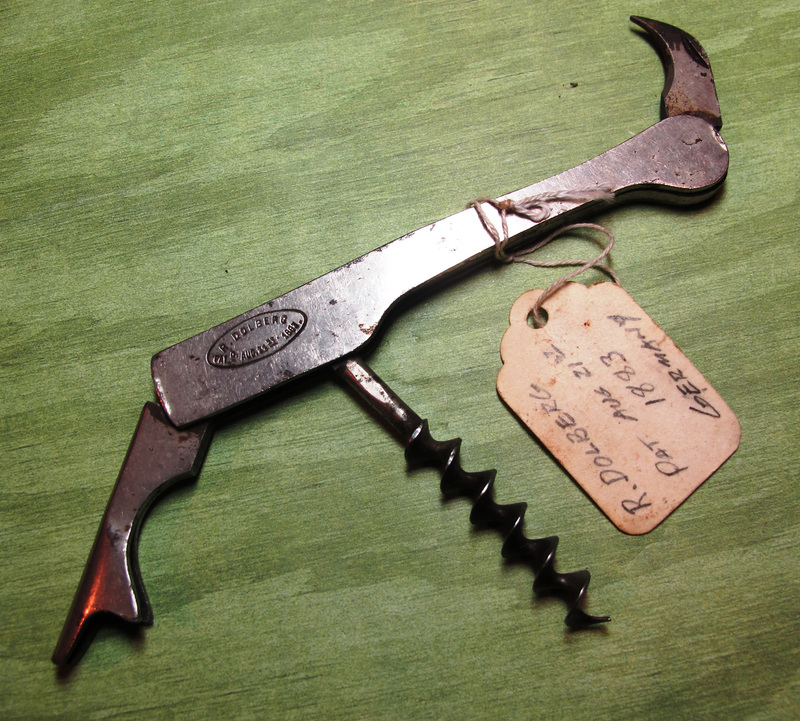 And, perhaps I might even find an antique corkscrew whilst traipsing around the city… Hope springs eternal! Be sure you go out and vote today!!! 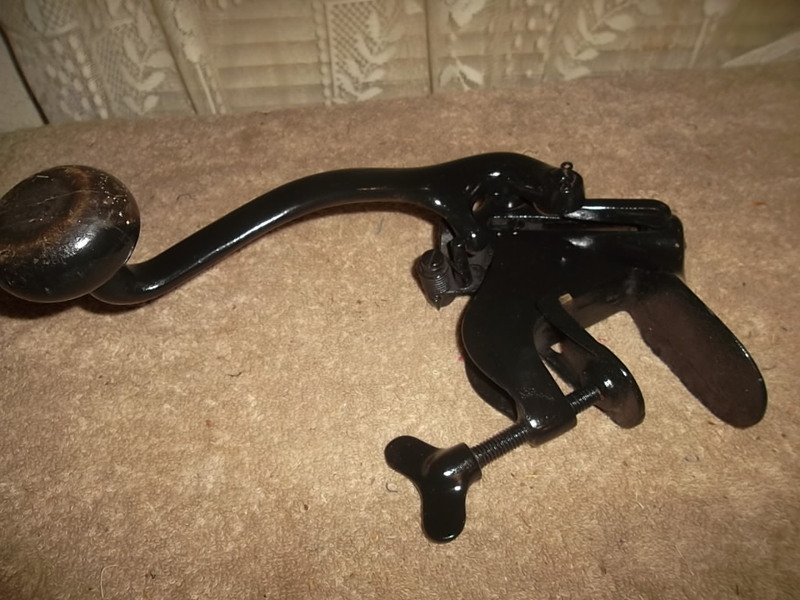 Last night, I found an interesting corkscrew that was just listed with a buy it now. And, the Buy it Now looked to be original to the auction, and at the price that the seller was asking, I balked for a moment. And, then I ran upstairs and grabbed Wayne Meadow’s book on Bar Screws. After glancing at the images on eBay, then back at Wayne’s book. I still didn’t recognize the corkscrew, and the seller explained in the listing that it had no markings. I went back to Wayne’s book, and then back to the eBay listing. Should I just take a chance? Of course, I won’t know until the corkscrew arrives, and until paint remover is applied to the bar screw, as from the photos it appears that, at some point, someone decided black was more desirable than whatever the previous finish was. 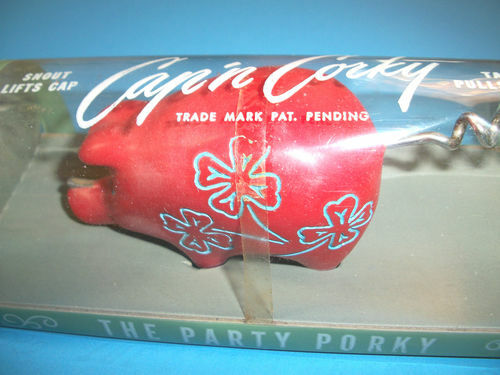 This little Piggy is not heading to our island home. Not for a lack of trying (or bidding) however. 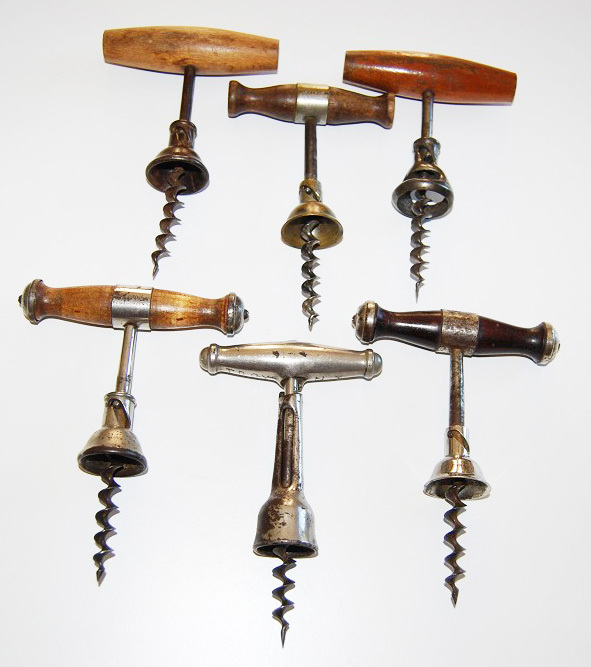 971 antique corkscrews are available on the ICCAuction!!! 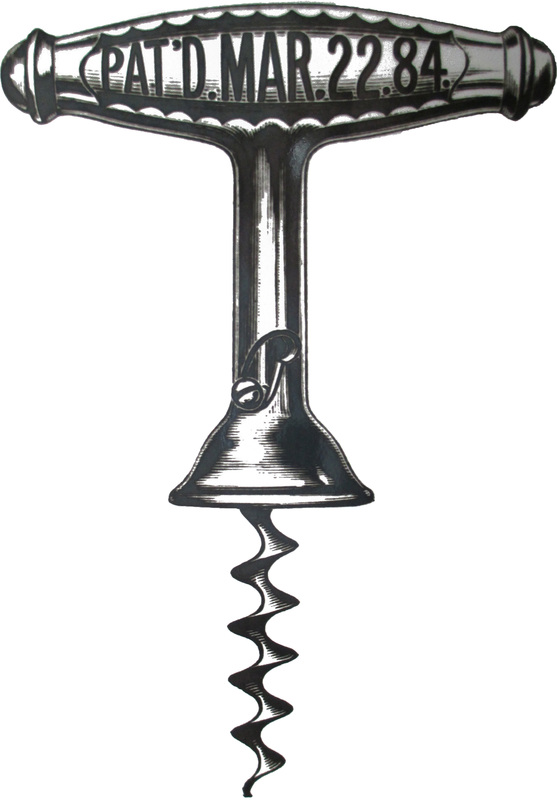 There are some fantastic corkscrews !!! Some hard to find, some rare, some unbelievably rare, and some that are simply a must for every collector’s collection. I have already placed some bids, and have my eyes on a couple that surely are going to be making their way to the island. well, at least I will try and facilitate their possible arrival on the island. As for my own listings on the auction, you can link to them here.